[Isn’t it interesting that the Jews, arch propagandists and weaponisers of words (in order to spread hatred and to incite murder and slaughter), are now freaking out about Twitter! They’ve already ruthlessly culled truth telling whites from Twitter in the last 2 years … and they’re still FREAKING OUT at the little bit of truth that is still getting out on Twitter? Most everyone on Twitter has been banned at least once because of the Jews, including myself. Alex Linder was banned 5 times. But the Jews screech and howl about the truth coming out. So they’re concerned about 4.2 million Tweets? Well, we whites should up our game and try to see to it that the next time the Jews count that the actual total is 10x that – let’s aim for 40 million “antisemitic” Tweets. 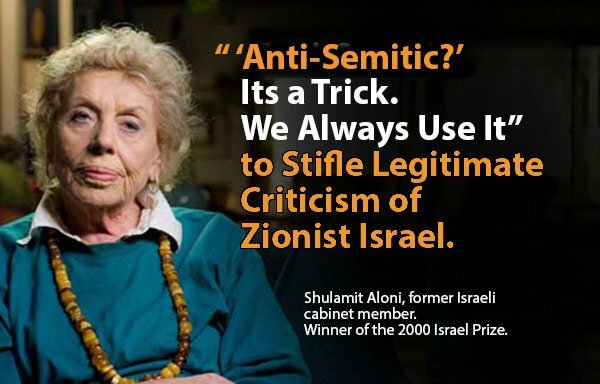 And remember, anti-semitism as per the quote below is just Jewish hogwash. Jews HATE THE TRUTH. They are the people of the lie and they THRIVE in lies and darkness. Finally, don’t worry too much about the Jewish howling and screeching and claims of pain. Chances are the Jews overstate the reality as usual. Jews are always adding more to the numbers than is in fact real. They normally vastly overstate reality, these people of the lie. There were over 4 million anti-Semitic tweets posted on Twitter in 2017 from at least 3 million different user accounts, according to a new report released Monday by the Anti-Defamation League. The ADL counted 4.2 million such tweets, despite previous verbal assurances by the social media company that it would be tackling racist content on its platform. The report measured mostly tweets posted in English. The ADL noted that many of the offending tweets were later deleted by Twitter for violating its terms of service. When examining the anti-Semitic tweets on a month-by-month basis, the report highlighted a clear uptick in anti-Semitic tweets in August 2017 – the month when violent, far-right demonstrations took place in Charlottesville, Virginia. Another peak period was December 2017, when President Donald Trump announced his plan to move the U.S. Embassy in Israel to Jerusalem. It’s not clear if these developments were directly related to each other. The organization said it recognized that Twitter has taken some steps to push back against anti-Semitism, but that those moves haven’t been efficient enough to stop the spread of hateful content on the platform. “This new data shows that even with the steps Twitter has taken to remove hate speech and to deal with those accounts disseminating it, users are still spreading a shocking amount of anti-Semitism and using Twitter as a megaphone to harass and intimidate Jews,” said the organization’s CEO, Jonathan Greenblatt. The report stated that the average number of anti-Semitic tweets per week over the period examined was 81,400. The organization – one of the oldest devoted to fighting racism and anti-Semitism in the United States – prepared its report by searching for thousands of different anti-Semitic expressions and symbols. It then conducted a second review to remove sarcastic, comic or non-anti-Semitic tweets from the list. This is the second time the ADL has published a detailed report about anti-Semitism on Twitter: In 2016, it examined anti-Semitism on the platform during that year’s U.S. election cycle, focusing on anti-Semitism that targeted Jewish-American journalists. In that report, the organization said there were 2.6 million anti-Semitic tweets between August 2015 and July 2016, with some 800 journalists receiving anti-Semitic tweets. The report identified a number of key themes that constantly appear in anti-Semitic tweets. These include “claims that Jews are greedy or that they control banks, media, governments and academia,” as well as Holocaust denial and conspiracy theories about Jewish control of the financial system or the weather. In addition, there were tweets promoting theological anti-Semitism, accusing the Jews of being responsible for the death of Jesus. The report also noted anti-Semitic attacks on George Soros: “The Hungarian Jewish billionaire, Holocaust survivor and philanthropist figures prominently in anti-Semitic tweets, with claims that he directly uses his largess to fund false flag events,” the ADL reported. A more “veteran” anti-Semitic theme, which the ADL says is still popular today, is the spreading of conspiracy theories about the Rothschild family. The report also cited attempts by anti-Semitic Twitter accounts in April 2017 to use the controversial comments by then-White House Press Secretary Sean Spicer about the use of chemical weapons by Nazi Germany. Spicer said that unlike the Assad regime in Syria, Nazi Germany didn’t use gas against its own people. Spicer quickly apologized for his comments, but the ADL showed examples of how anti-Semitic users quoted his words to spread their messages of Holocaust denial. The report includes a number of policy recommendations for Twitter, including stricter enforcement of its terms of service – which already prohibit hateful content. The ADL said its latest report is based on a “refined” methodology, which helped the organization recognize tweets that might have included anti-Semitic phrases but were not actually anti-Semitic in nature. The report’s margin of error is 3 percent. ← 3 Pics: 2013: Jewish Rabbi explains why Europe must be destroyed!